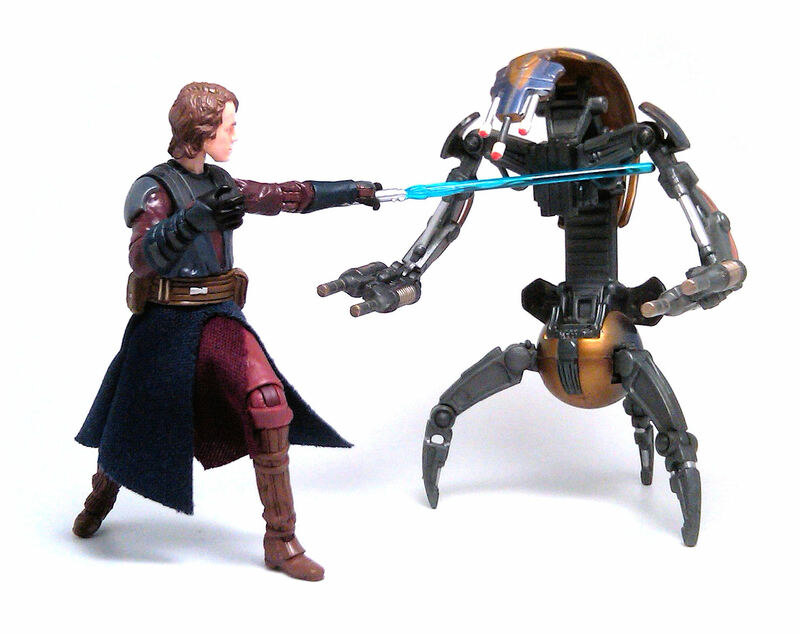 The answer was always negative and eventually people stopped asking the question, so when a couple of years later they announced their plans to produce a figure of Clone Wars Anakin in the realistic style, my own response was a resounding “Yawn”. 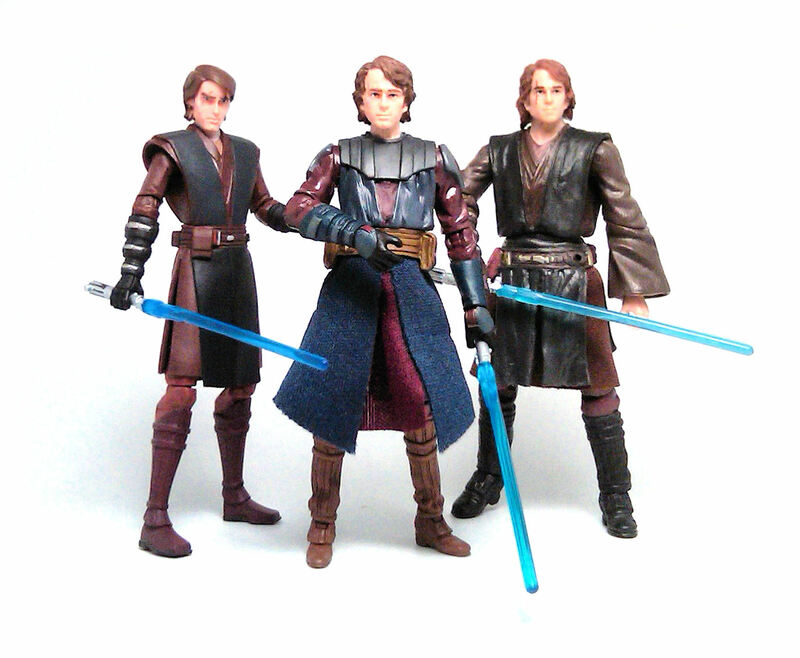 Still, when people started reporting sightings of that wave of figures, I raced to the stores and found that pretty much everyone else in that assortment had already sold, leaving Anakin hanging in the pegs mixed in with the carry forward figures from wave 1. I didn’t get Anakin then and there. I hemmed and hawed and finally decided to shop for the best price locally, while still looking for the elusive Malgus. A couple of weeks later, I finally caved in a bought this, the 92th figure in Hasbro’s Star Wars Vintage Collection, none other than Anakin Skywalker. I must say that even during the process of cutting open the bubble, I was mentally berating myself for buying a figure I didn’t even want to begin with, but as I started to examine the figure more closely, my impressions of it altered radically. 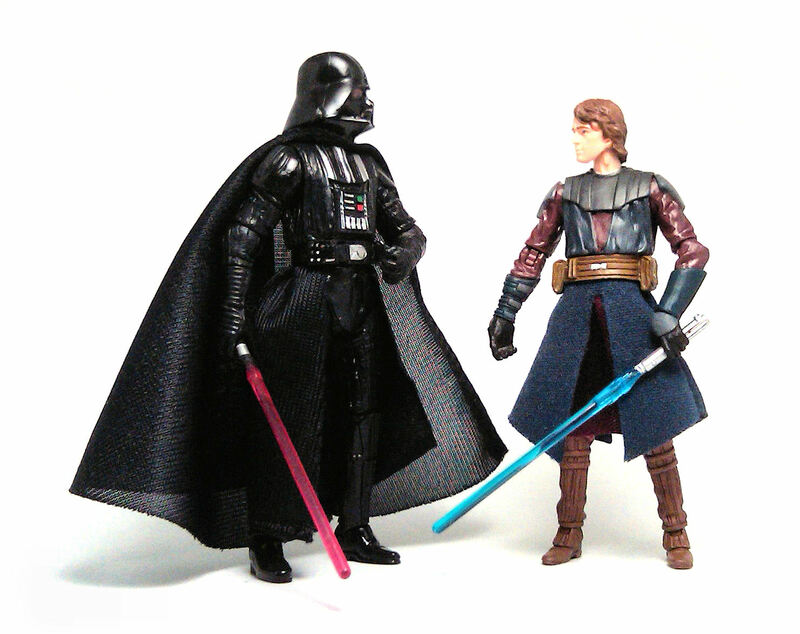 Anakin is depicted in the uniform he used at the start of the show, meaning it looks as a very literal 50-50 mash-up between Vader’s armor and the regular Jedi robes he wore in Attack of the Clones. Still, the costume looks plausible and this time Hasbro managed to integrate fabric with plastic in a very effective way. 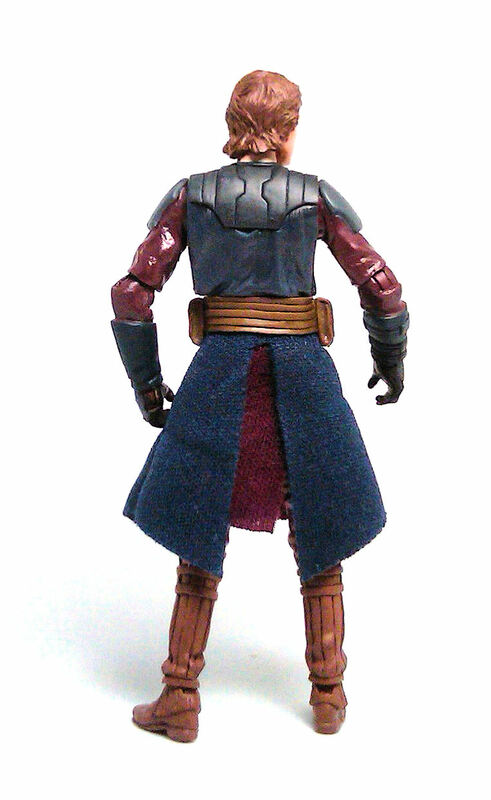 The upper torso is plastic, but under the belt Anakin wears a maroon tabard and an outer dark blue skirt, both made of a nice fabric and really well cut. The sculpted detail is really great, although the sculptor probably went overboard adding way too much detail in an effort to clearly differentiate this Anakin from his animated counterpart. 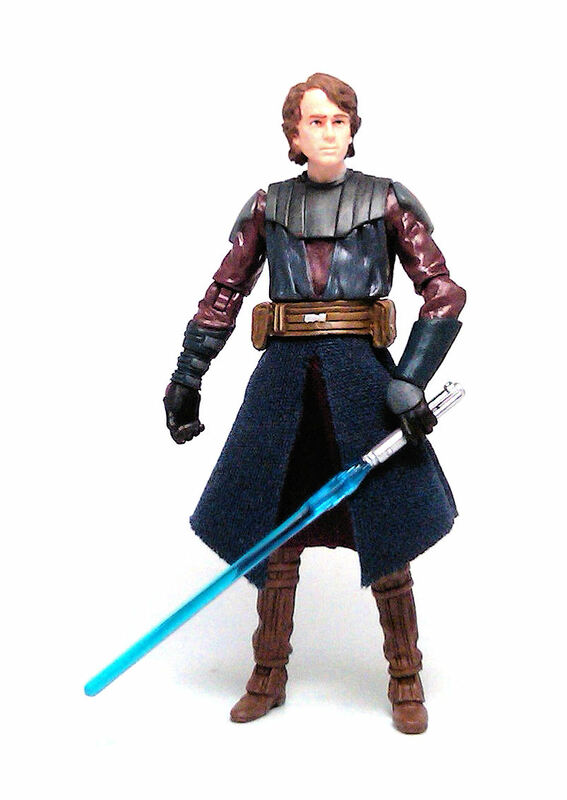 The head sculpt is nice, but it doesn’t look like the intention was to portray Hayden Christensen either. It does kind of remind me of the face sculpt they used for that other version of a Clone Wars Anakin back in the 30th Anniversary Collection, inspired by the Tartakovsky cartoon where he had a bare chest and the blue line tattoos. All of the joints work perfectly. The neck has a good tilting range, the hinges at the wrists allow for dynamic fighting poses and the soft goods allow a full range of motion to the legs. The paint applications on the suit are very neat and the colors match almost perfectly those on the fabrics used. The face paint is also good, although as usual there are a few missed spots around the ears and the hairline. 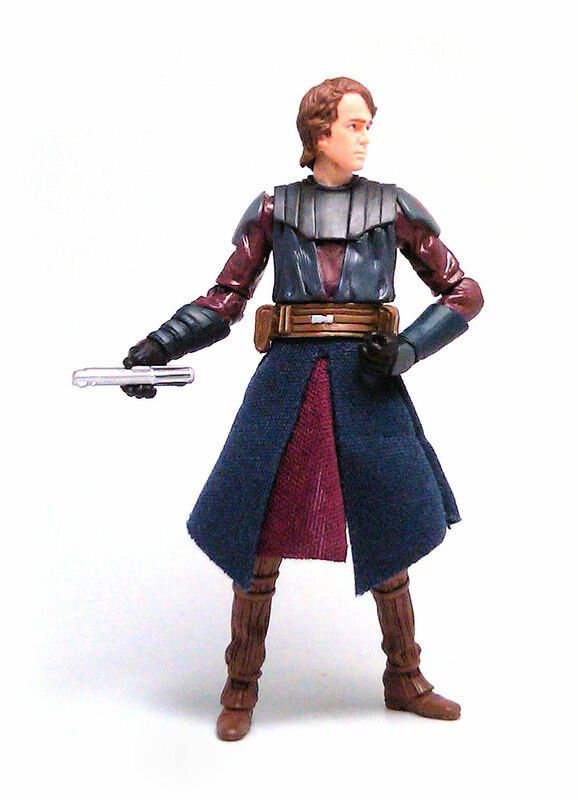 Clone Wars Anakin comes equipped with a blue lightsaber and a deactivated silver hilt, which doesn’t have a peg to plug it into the belt, which I suppose works fine, since the belt doesn’t really have a hole to plug the weapon. 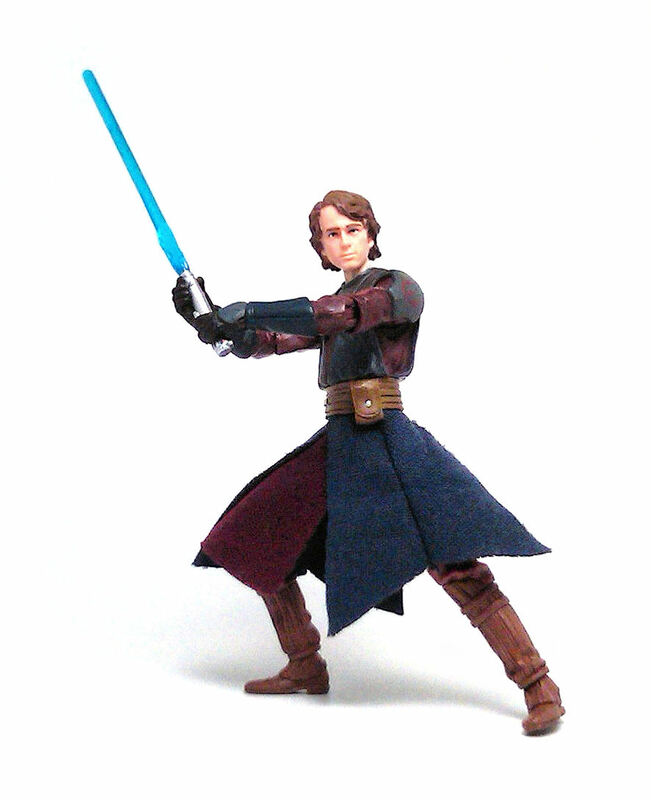 In closing, the main problem I see with this Anakin is that it is a character design we have seen a lot of times in the animated style line, so having that same design translated to the realistic style may not be enough to impress a potential buyer, and that is a shame because the end result is really great.